Do you need help dealing with the Department of Veterans Affairs, IRS, Social Security Administration, or another federal agency? Do you have a suggestion for Congress that will help your family or community? If so, then Colorado U.S. 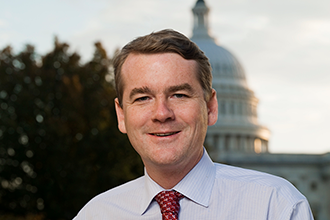 Senator Michael Bennet invites residents from Kiowa County to meet with a member of his Colorado staff. To schedule an appointment, send an email to Dwight_Gardner@bennet.senate.gov. Include a brief description of the issue you want to address. If you are already working with someone in Bennet's office, include that information in your email. Those without email access can call 719-542-7550. Thursday, July 26, 10:00 a.m. - 12:00 p.m.